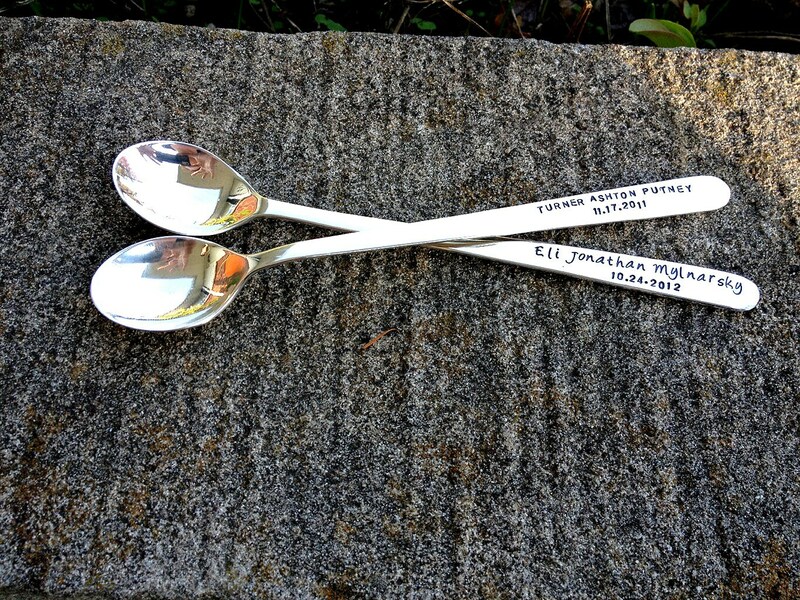 This solid sterling long-handled Baby spoon is formed in a very pleasing rounded shape. Stem shape may very slightly. It's about 5-1/4" long, and adorable! We will hand stamp (deeply engrave) any name or phrase you'd like, in any of our four available fonts. The only limit is the space available - which will depend on your character choice. This makes an excellent heirloom gift. 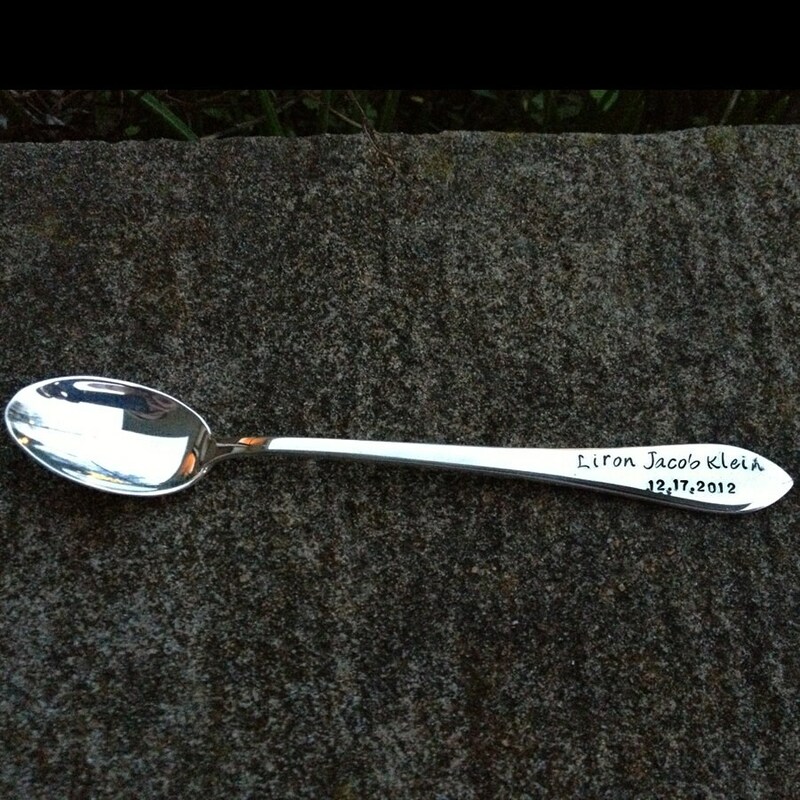 ♥ To order your spoon, just buy this item, then contact us with your desired font & phrase.